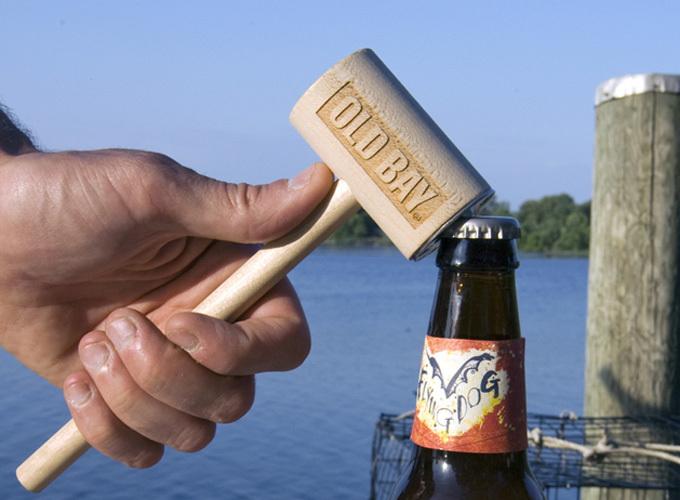 Use the form below to create your custom crab mallet order. 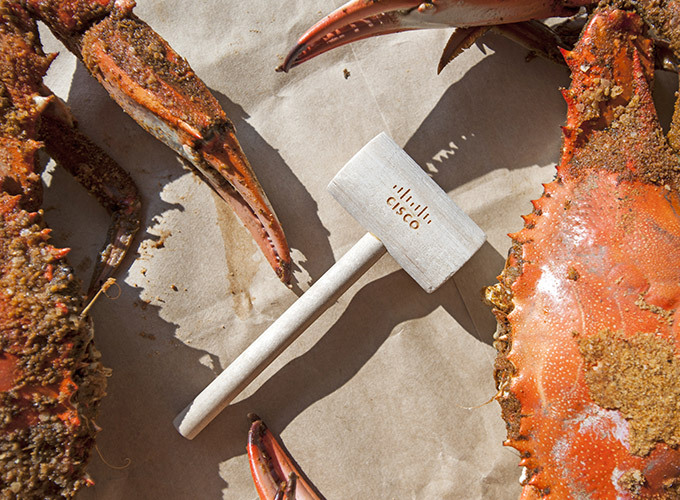 For help ordering custom crab mallets call 800-750-9301. 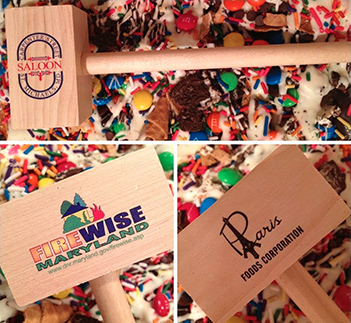 $0.65 will be added to the cost of each mallet for additional art location after the first. 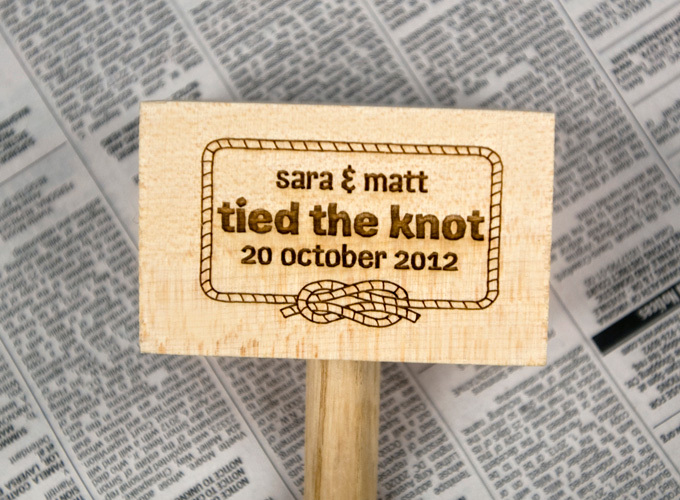 We will design your mallet using your text (and icon if you choose to use one) and e-mail you a proof for approval before creating your mallets. 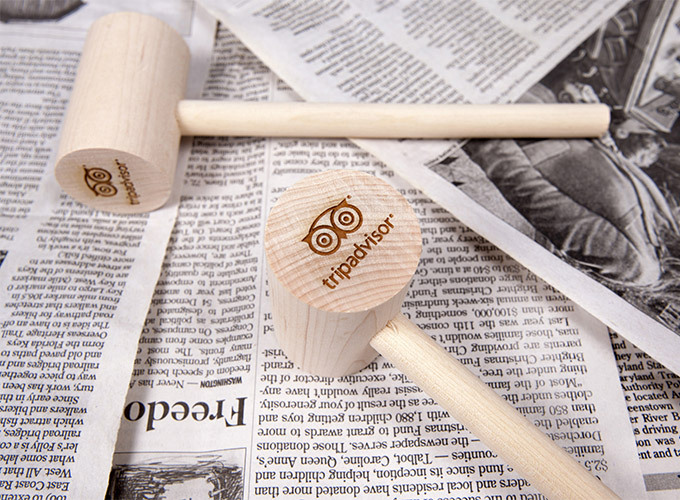 I would like to include an icon on my mallets. 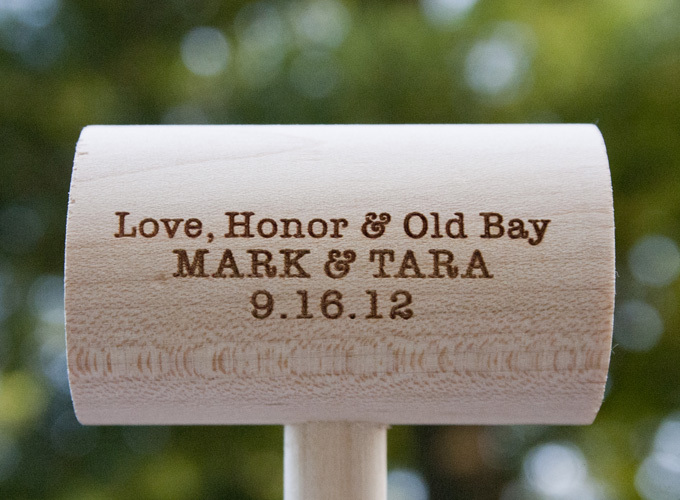 We will design your mallet using your text and e-mail you a proof for approval before creating your mallets. Enter any information that may help us process your order faster. 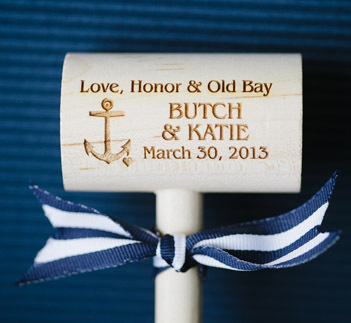 Or use this space to reference one of our sample mallets that you'd like us to base your design on. 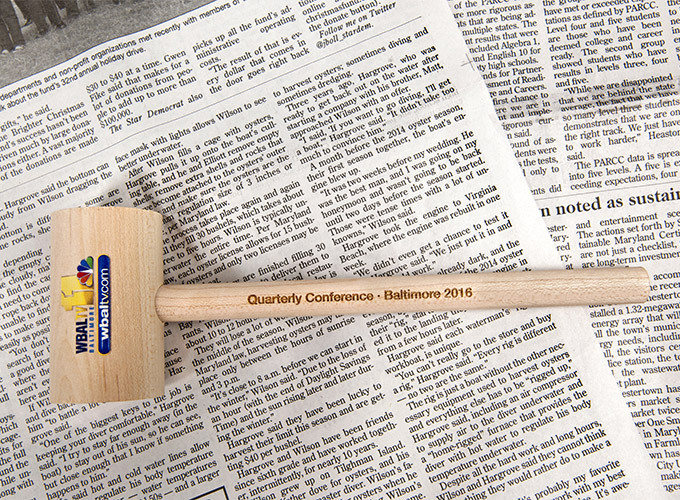 step 6: when do you need your mallets? If you need your mallets sooner than the first available date in the calendar below, please contact us to ensure we can meet your deadline—we usually can!